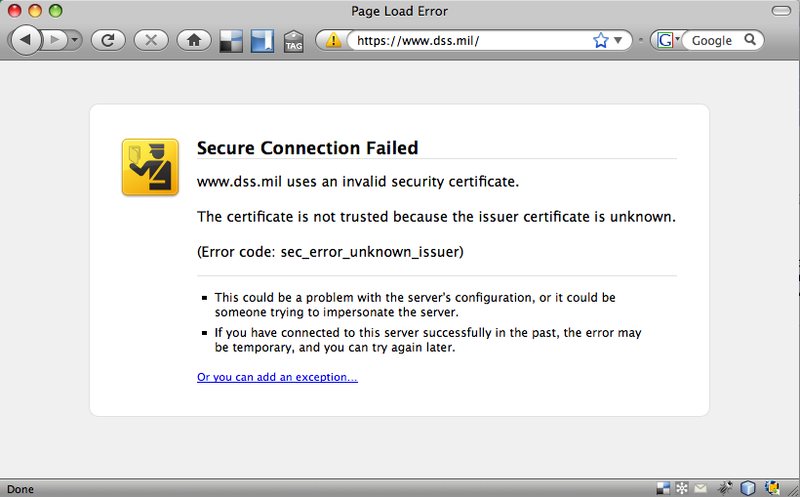 It’s funny that the Defense Security Service (Provides security services to the Department of Defense and defense contractors. Mostly counter-espionage and physical security tasks.) 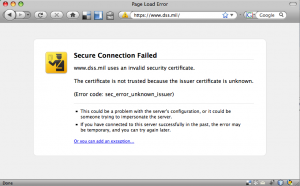 homepage triggers an SSL certificate error. Is that some sort of first lesson: TRUST NO ONE! Heh.